Welcome to Cavallino, my luxury Cabopino rental apartment. A stunning and spacious ‘home from home’ in the lovely Cabopino marina area, a few miles east of Marbella, on the Costa Del Sol. 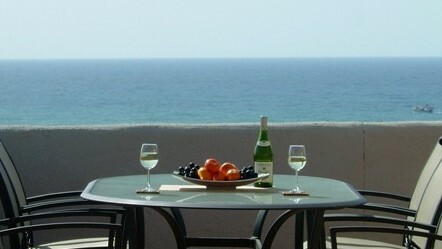 The ideal luxury Cabopino holiday apartment. Grab yourself a glass of wine, pull up a chair and relax whilst enjoying the spectacular views out over the Mediterranean sea from the huge sunny penthouse terraces. Last year, 2018, 80% of my bookings were from returning guests. With this apartment you are renting direct from the owner, not a faceless agency. I know and love the area, and live in Cabopino myself just 150m from this apartment. I like to meet and greet my guests personally, and as importantly I am around to help if necessary. 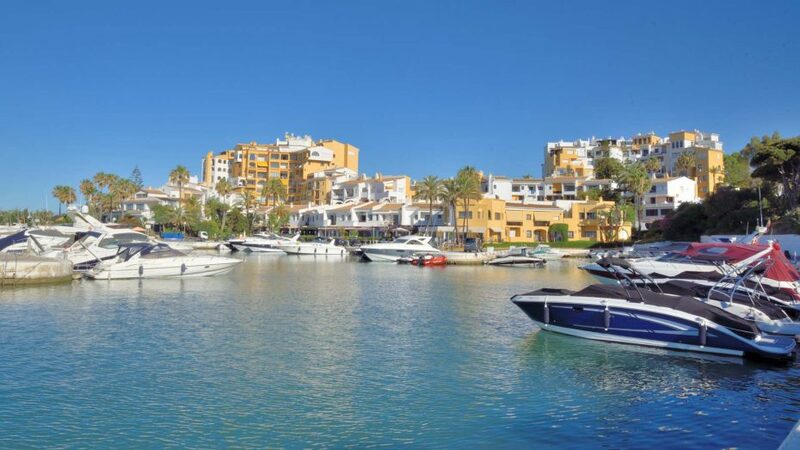 Often called ‘the Jewel in the Costa del Sol’, or equally often the ‘Costa del Sol’s best kept secret’, Cabopino is a very picturesque, yet quiet marina area surrounded by superb restaurants, and bordered with three superb fine sandy beaches. 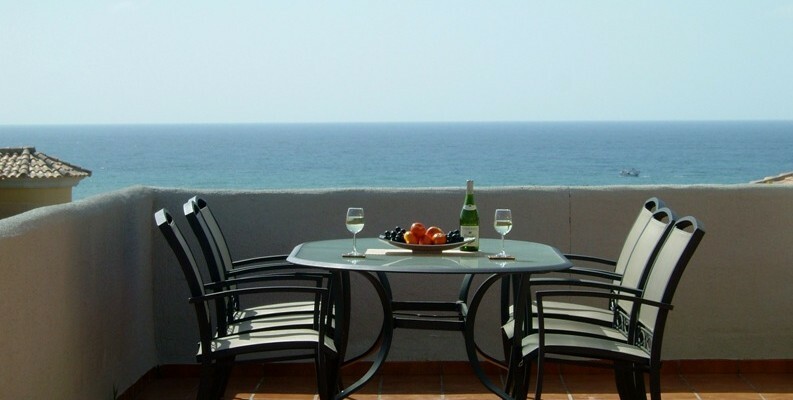 The perfect spot for a holiday on the Costa del Sol. Diners can choose from Spanish (tapas and seafood), Italian, American or Indian cuisines. The restaurants enjoy great settings by the water in the marina, on the beach itself or in quiet cosy little squares. The beaches include the famous Artola (Las Dunas) beach which is the best preserved beach on the Costa del Sol with rolling dunes running down to the waters edge. Andy’s Beach is a lovely well protected little bay with beach side chiringuitos behind. This very spacious modern air conditioned 132m2 penthouse 2 bedroom, 2 bathroom holiday apartment comfortably sleeps six, and benefits from a huge 124m2 wrap around terrace offering all day sun. The apartment is superbly located to kick back and relax, or get out there and enjoy the myriad of Andalucian attractions, or a mix of the two! Located just a 10 minute walk from the marina, superb restaurants, fine beaches and a golf course everything you need is a short walk away.